The Roadhouse activities desk contains maps, schedules and descriptions of the guided hikes and activities available daily. The desk is staffed by our Naturalist Guide Staff at periods throughout the day and evening. Visit with one of our guides and plan your activities for the next day or get your natural history questions answered here. The main Roadhouse contains two dining rooms with fireplaces in each. The smaller dining area is used for breakfast and lunch and the larger, more formal dining room, for dinner. 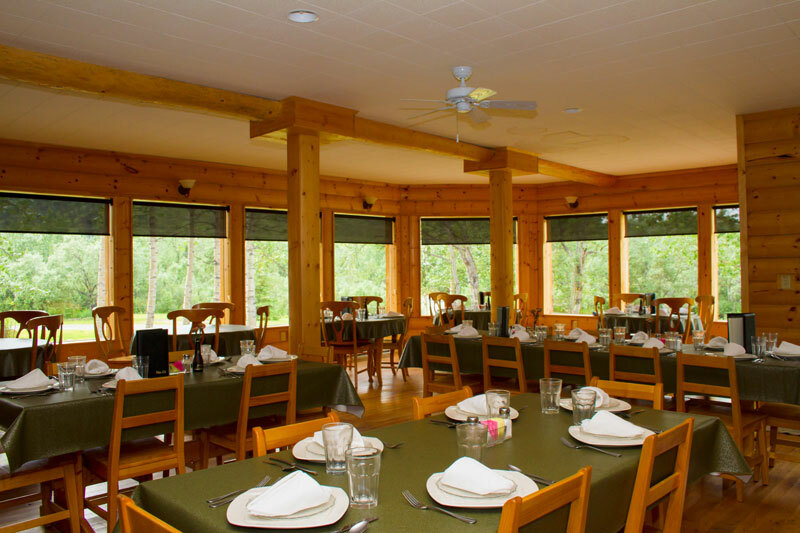 Large windows provide lovely views of Moose Creek and occasionally, wildlife will wander by—causing quite a stir in the dining room! 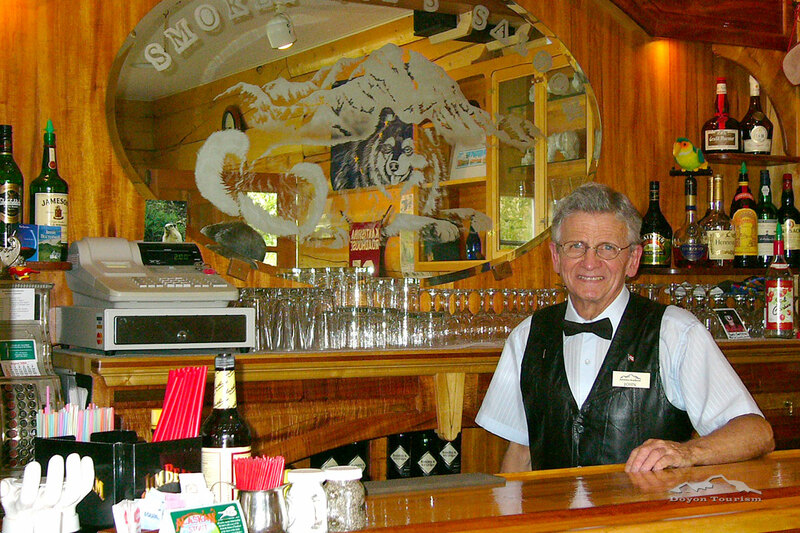 One of the most popular meeting areas is our “Little Johnnie’s” Saloon, the only full-service saloon in the Denali Park backcountry. Here you can enjoy a great selection of fine wines, Alaskan beers, as well as all traditional spirits and libations. Appetizers are served each evening at 5:00 pm in the Saloon and a guide is in attendance to answer questions about activities and programs for the following day. Visit our Saloon page for more information. 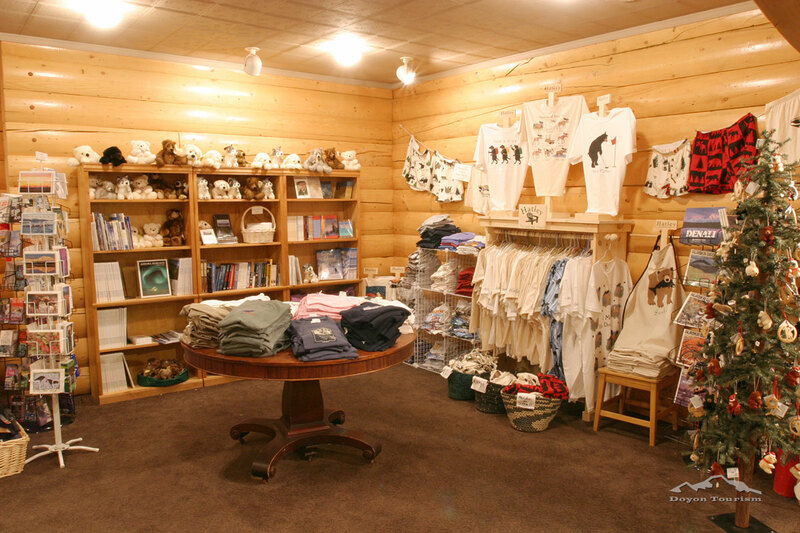 Located upstairs from the Lobby, the Roadhouse Library contains a huge collection of Alaskan books, DVDs, puzzles and games. This area also hosts the afternoon and evening naturalist activities when held indoors. Through the Library you can access our beautiful second-story screen porch. This area boasts large comfortable chairs and seating; a perfect place to relax with friends or a good book and listen to the soothing sounds of Moose Creek just below. Our front desk is located in the main lobby and serves multiple purposes for our guests. It is staffed between the hours of 6:00 am and 10:00 pm and any and all questions can be addressed there. 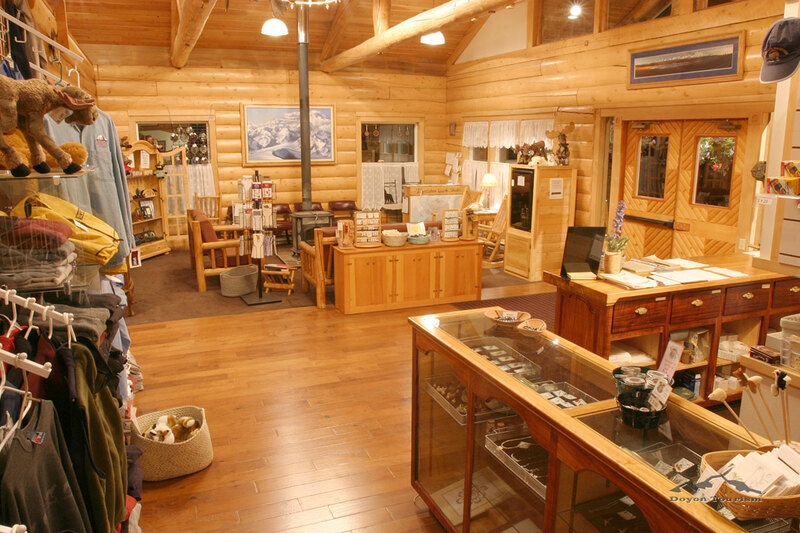 The Gift Shop sells a variety of beautiful Alaskan artwork, clothing, jewelry, books, and various sundries including candy and snacks, soda and bottled water, mosquito repellent, film and other fun and useful things.